From their forthcoming mini-album, Wasuta give us a taste of tapioca milk tea in their new promotional video of the same name. “Tapioca Milk Tea”, don’t adjust your speakers, carries more than hint of the idol sounds from years past. Horns and strings accent the funky sounds of the chorus while keyboards flit like neurons firing off at regular intervals. Wasuta give us a few different looks in addition to the Chinese inspired headdresses of the performance shots. I think most of the readers will react positively to the school uniforms worn by the members as they sip their milk tea on the streets of Harajuku. The summer sounds of the musical arrangement also inspire a set of summer clothes that Wasuta sport in the studio shots against the blue sea of a backdrop. I can’t get around this, but there are some tightly cropped, extended shots of the girls sipping their refreshing drinks through bubble tea straws that feel more gratuitous than the rest of the PV- I’m not sure how to drink that down. 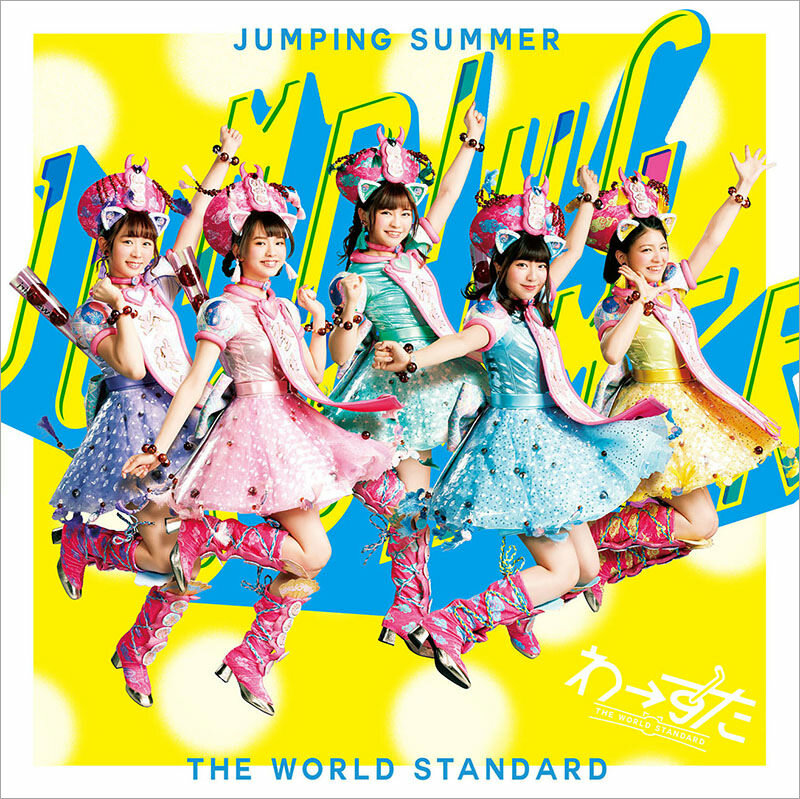 “Tapioca Milk Tea” is on Wasuta’s 1st mini-album “JUMPING SUMMER” due on June 20, 2018.